Call (888) 718-0986 for Immediate Help! Welcome to the Texas Foreclosure Help page. On this page, you will find direct access to foreclosure defense attorneys and non-profit organizations offering foreclosure prevention services. You will also find general information about the Texas Foreclosure Process. If you need help with a troubled mortgage or foreclosure, this is a great place to find it. Once you have received a Notice of Default (NOD), Notice of Filed Foreclosure, or Notice of Foreclosure Sale/Auction, a foreclosure defense or loss mitigation attorney is in the best position to effectively defend your rights and interests. If you have received one of these notices, contact us today! We support foreclosure defense attorneys that can answer complaints, and file counter-claims and motions. They can also represent you at hearings, mediation, and during the entire negotiation process. A foreclosure defense attorney will fight to defend your rights, and achieve the best possible outcome in loan modification and other foreclosure alternatives. Foreclosure prevention counseling services are provided free of charge by nonprofit housing counseling agencies working in partnership with the Federal Government. These agencies are funded, in part, by HUD and NeighborWorks® America. There is no need to pay a private company for these services. Organizations are listed in alphabetical order, by city. In many cases, these organizations will end up recommending that you retain an attorney. The fact is that an experienced foreclosure attorney is in the best position to represent you in mortgage negotiations and foreclosure proceedings. In fact, THE FEDERAL TRADE COMMISSION (FTC) PROHIBITS ANY “NON-ATTORNEY” FROM NEGOTIATING MORTGAGE DEBT ON BEHALF OF A DISTRESSED HOMEOWNER. In some instances, negotiating yourself or through a non-attorney third party can even be detrimental to you. Before you do anything else, we recommend speaking with a foreclosure defense attorney or completing the NO OBLIGATION Foreclosure Defense Application. This list includes only HUD Approved Housing Counseling Agencies offering “Mortgage Delinquency and Default Resolution Counseling” services, and are considered “Foreclosure Avoidance Counseling” agencies. Organizations are listed in alphabetical order, by city. A: 83845 249 W Thornhill Dr. Web: www.greenpath.com 634 E. Levee St. Web: www.moneymanagement.org 125 West Main St. Web: www.moneymanagement.org 2718 S. Medford Dr.
For the most current list of HUD Approved Foreclosure Avoidance Counseling Agencies in Texas, please visit the HUD website. Security Instrument(s): Both Mortgage and Trust Deed. Foreclosure Type(s):Judicial (rare) and Non-judicial. Judicial Foreclosure: A foreclosure process in which the lender must file a lawsuit against the borrower to obtain a court order to foreclose on a Mortgage document. Non-judicial Foreclosure: A foreclosure process where a third party Trustee has the power to foreclosure and initiate a sale based on a Trust Deed instrument. Estimated Foreclosure Process Period: 27+ days. First Notice to Sale Time Period: 21+ days. IMPORTANT, PLEASE READ: Mortgage Relief Project is a privately sponsored consumer outreach that provides homeowners with valuable news and resources, including nationwide access to attorney representation for foreclosure defense and loss mitigation. WE DO NOT GIVE LEGAL ADVICE, OR ACCEPT PAYMENTS FROM CONSUMERS FOR SERVICES. Only a licensed attorney can give legal advice. The Federal Trade Commission (FTC) strictly prohibits any non-attorney firm, company, or organization from representing distressed homeowners. WE ARE NOT A GOVERNMENT AGENCY, OR AFFILIATED WITH ANY GOVERNMENT AGENCY OR PROGRAMS. Short Sale and Deed in Lieu of Foreclosure? Loan Modification Programs in 2019? Loan Modification Help After HAMP: 6 Tips to Stop Foreclosure in 2017. Forensic Mortgage Audits: Another Gimmick For Homeowners? 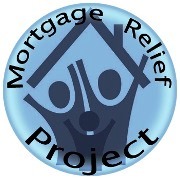 © Mortgage Relief Project - 2010 - 2019 - All Rights Reserved.